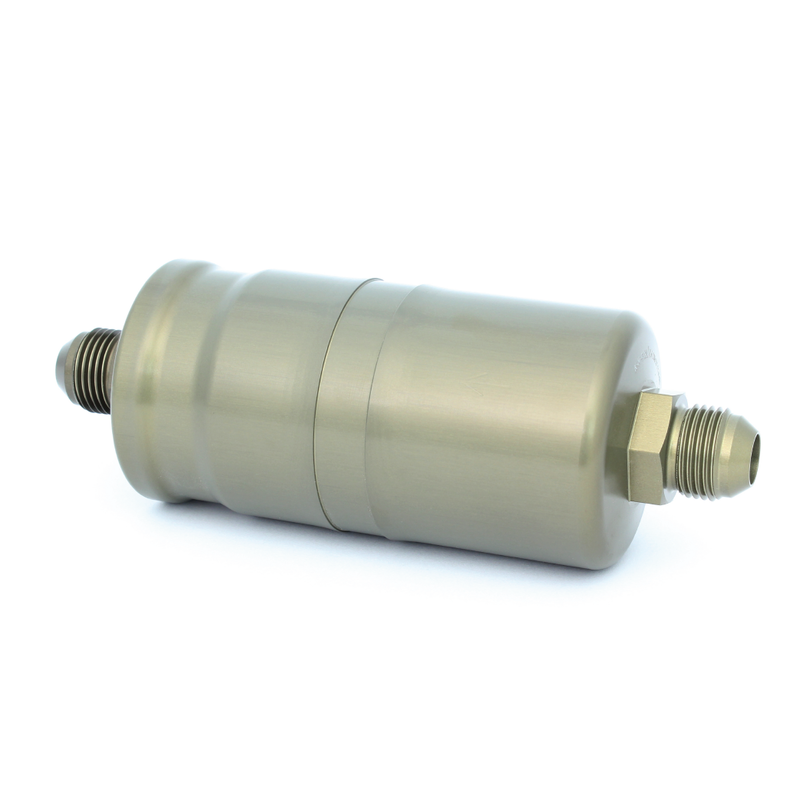 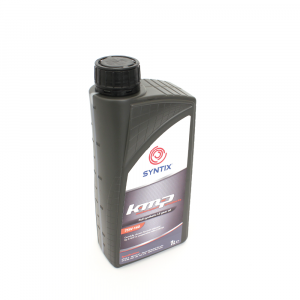 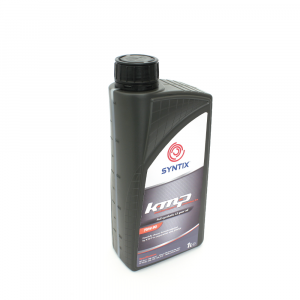 This renewable oil filter is originally designed to replace the Porsche 997 CUP Oil filter (996.307.324.00), but it can be used as an universal oil filter. The filter cartridge can be visually inspected and replaced with a new one. 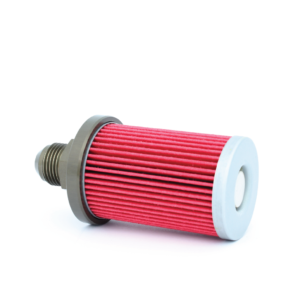 At the bottom of the filter a magnet is used to collect metal pieces, so the filter can be used for a longer period. 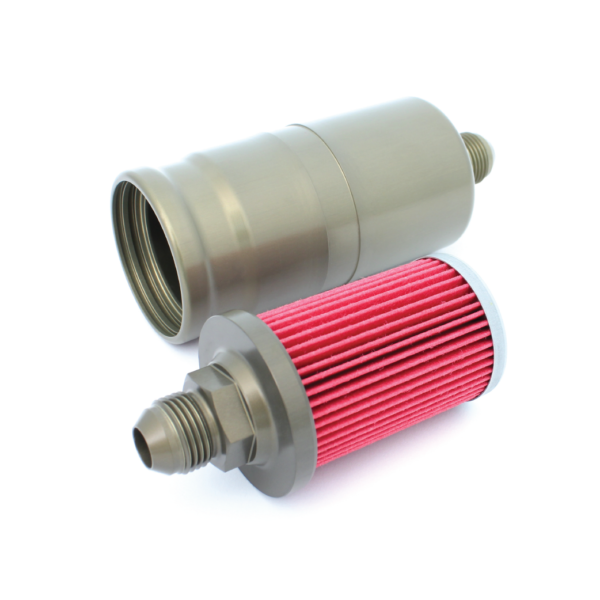 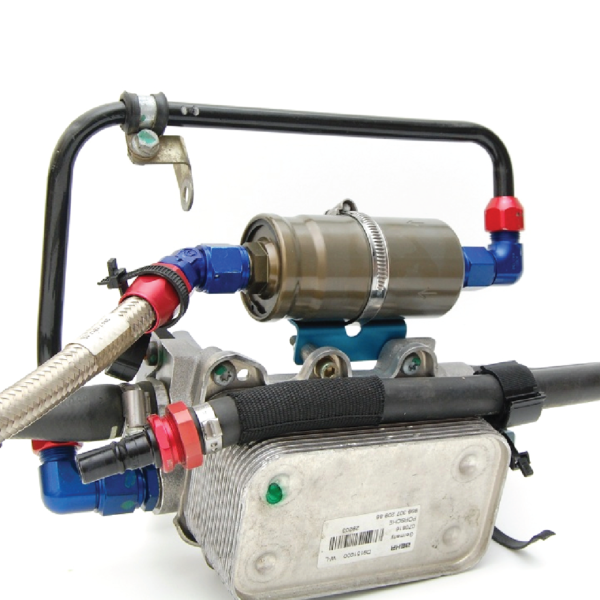 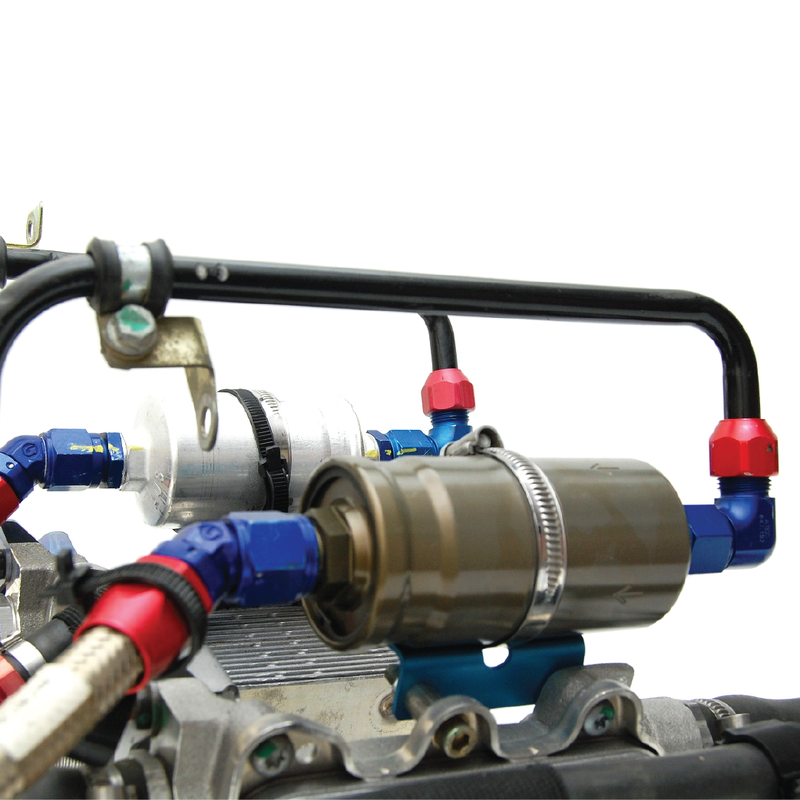 The filter has 2 Dash 8 adapters, a diameter of 53mm and a total length of 130mm.